If Bill Maher were to make a found footage film about disproving the existence of the spiritual realm, it would be The Possession of Michael King. With his deadpan, snarky manner of speaking, Shane Johnson plays Michael King with just the right amount of cynicism, grief and family man warmth. Six months after the tragic and accidental death of his wife Samantha, Michael is obsessed with disproving the existence of the spiritual. Why? Well, because his wife believed in the spiritual realm to the point of not taking a vacation based on a tarot card reading. In Michael's opinion, his wife would still be alive if she hadn't listened to the psychic and just gone on vacation. 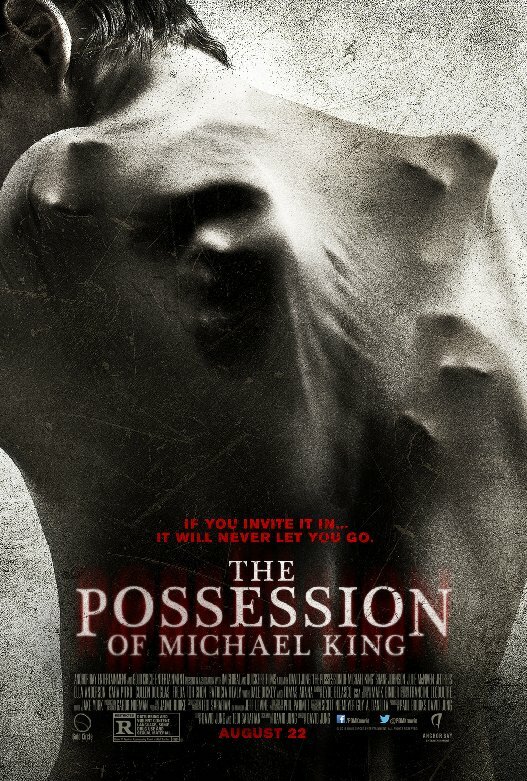 Michael visits with a priest who says that exorcisms are real, demonologists, necromancers and anyone else who dabbles in the occult; he freely partakes in any rituals that they recommend never once thinking that something bad may come home with him. His absolute refusal to believe in anything beyond the mortal realm is, ultimately, his downfall. You can't participate in a bunch of dark magic and think that you're not going to bring a new friend home with you sooner or later. Much like any other found footage from a house, there are multiple camera angles throughout the home that tell the story of how a demon slowly takes over Michael. Despite all of this feeling far too familiar, Possession manages to, somehow, not feel like yet another retread of the same old story. Johnson's ability to go from a demon possessed man to a loving father in the blink of an eye is truly impressive and keeps the movie grounded. In particular, a scene towards the end with his friend really manages to showcase this delicate dance between the two personalities. Utilizing the usual wonky camera angles, spooky lighting and ominous shadows, Possession also adds in some of that fourth wall stuff when Michael speaks directly to the camera. Usually, breaking the fourth wall is a bad idea, but in this case it helps to endear you to our protagonist. The use of intercutting footage from a family home video also helps you to stay sympathetic to Michael and his Negative Nancy attitude toward anything otherworldly despite the fact that he is, clearly, possessed. Also on the list of things that are usually annoying, but not in this movie; sounds used for jump scares and child actors. Everything about this film comes together in a dark, eerie, little package that keeps a nice pace and employs some seriously creepy visuals when the demon begins to visibly appear. 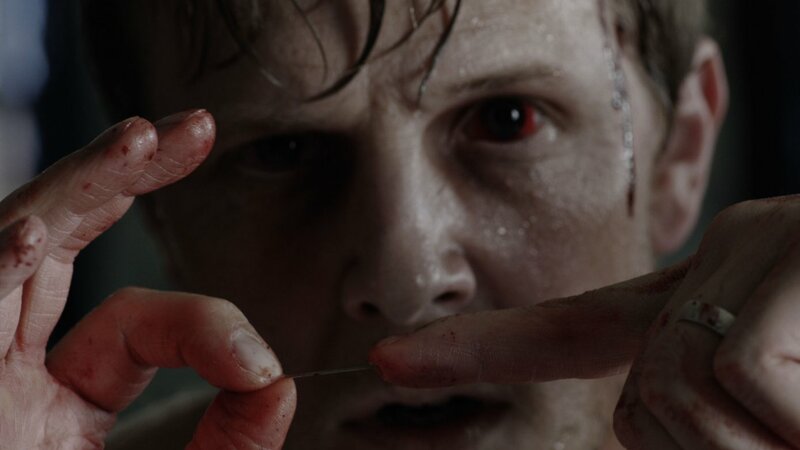 Written and directed by David Jung, The Possession of Michael King isn't breaking new ground on any level, but it's the real deal when it comes to found footage. It's a wonderful reminder that making a truly good found footage film actually takes quite a bit of talent.